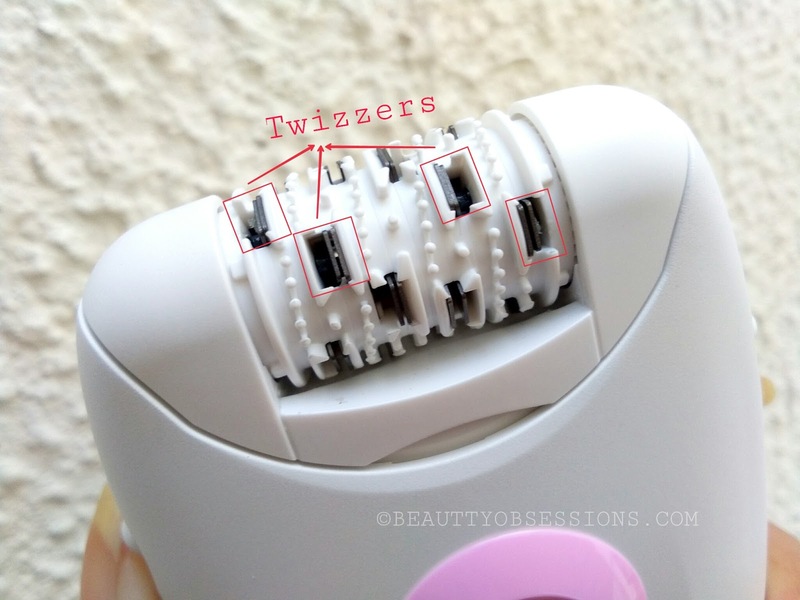 What is Epilator and How It Works ? An epilator is a small,handy device which removes the unwanted hair from roots through the tiny metallic/ ceramic tweezers . It means you are going to have smooth, clean skin for at least two weeks. As it removes hair from roots ,the hair regrowth happens slowly . Epilator can be use to remove hair from hands and legs ,but it is not suitable to use near sensitive areas like underarms,bikini area . You can also use it to remove facial hair from face including upper lips area ,but it needs a little practice. Eyebrows can't be done through epilating process. I normally trim my brows through the Veet electric trimmer ( Read HERE) and visit salon for threading once in two months just to bring back the proper shape. There are two kinds of epilators exit.. Some are electric and some are battery operated . There are 20-30 tiny metal/ceramic tweezers present on the head of the epilator which pick out the hair in rotating motion . It is a little painful initially and the pain will be less once your body become adequate to the process. If you are not familiar to the waxing process too,then epilating might be a serious task for you ..
Epilating is obviously different from the regular waxing procedure. Epilating is very handy and one can do at their own convenience at home anytime while for waxing you have visit salon and to spend heavy bucks too. For waxing you have to grow the hair atleast one or two inch height where as for epilating ,you can do with any height hair . The only similarity is, both are painful and you have to bear that to get smooth,clean skin. No, epilating is totally different from shaving and trimming procedure. In trimming or shaving the machine doesn't touch the skin and cut the hair over the skin only . These process are painless but the hair growth will be back in two days only . This is not a clean and proper way to remove unwanted hair . If your skin is very sensitive or you can't bear the pain ,then shaving and trimming is right option for you. 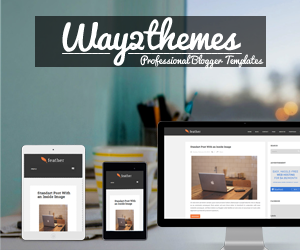 There are few things you should know if you are a first time user. To make the process less painful, always take a hot shower before epilating . You can also wash that particular portion with hot / lukewarm water and after that apply a body scrub and exfoliate the skin properly . In this way the pores will open and it will be easy to pick out the hair from root and the process will less painful .Please make sure that skin is completely dry while epilating, don't apply any moisturer before epilating otherwise the hair eill stick to body and it ei be difficult to pluck out the hair If your hair has grown longer ,then better to trim 2-3 days before epilating ,because it is very painful to pluck out long hair. After epilating if your skin feels rashes or any redness ,then apply ice cubes to calm down the skin cells . 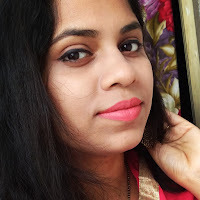 With regular epilating the hair regrowth gap will become longer and there will become thin hair day by day .. Epilating legs are more painful than hands ,it takes around 40minutes for me to epilate everything. Because of epilation you are going to get smooth,soft and clean skin in long run. Always clean your device after every use to make it long lasting . 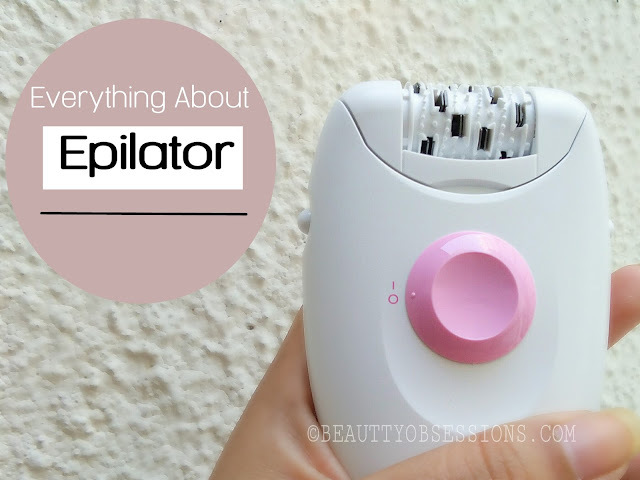 Epilators are a little expensive as compare to trimmers and shavers ,but this is one kind of investment to avoid the huge salon bills in long run. There are so many brands available here in India . You can buy both offline and online . 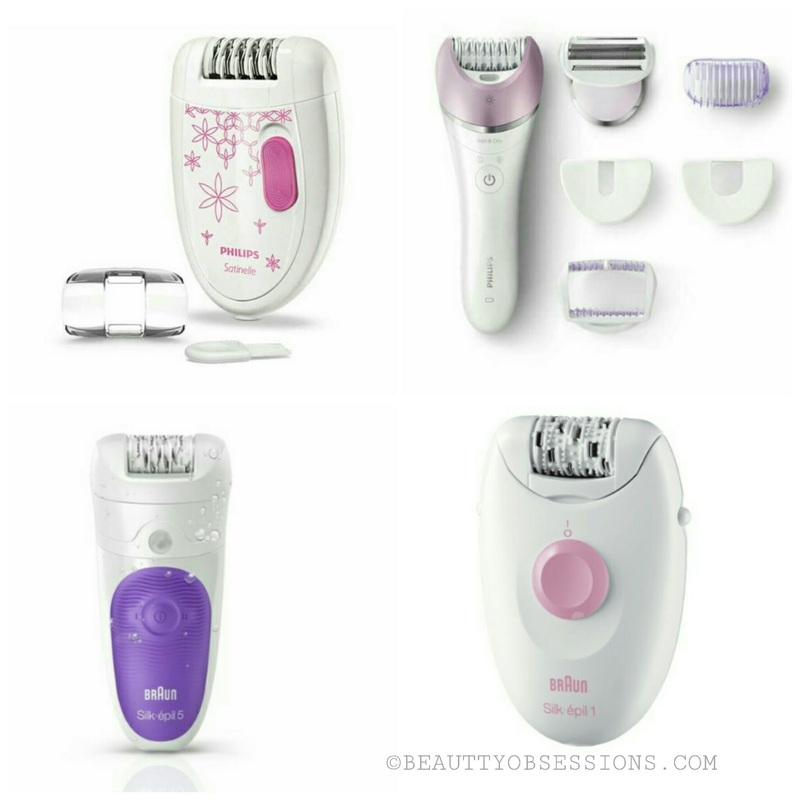 Here i am sharing few epilator models which i swear by and these are available easily in India. Everything has its own downside and upside but it totally depends upon us that how we are handling that . At last i must say epilating is a very handy and affordable option to get clean and smooth skin for longer duration . I will share the review of my epilator in the next post ..
“This post is written as a part of the #AlexaTheIncredible campaign hosted by #womenbloggerwb"
Just like your friend, I'm new to epilators as well. This post turned to be very informative. 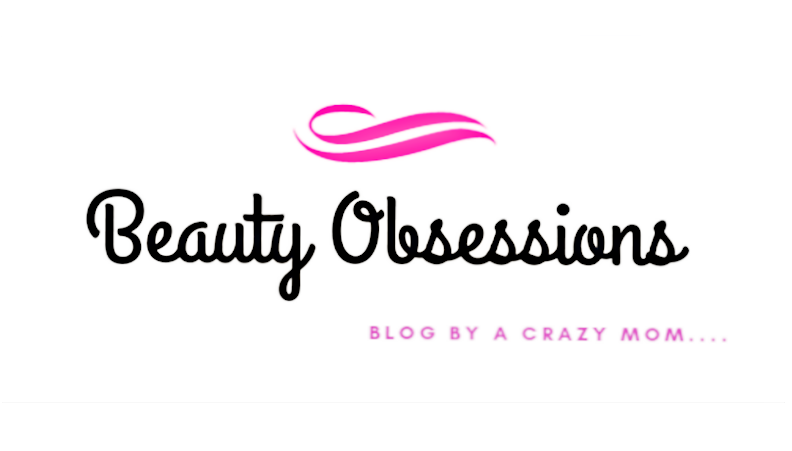 Very informative post, I had used braun epilators a year back and loved them absolutely for a quick smoothness. I haven't tried the pre epilating routine and will surely try it out .. I am always scared of shaving. I will surly try epilator now. I was actually thinking of buying one and was searching for the best and reasonable one. Thanks for this post will make an informed choice. I have always though of buying one but when I think of the pain I resist to do so. Should I go for it??? Oh I am addicted to it - epiliator is my best buddy. Philips is my brand, and this is so effective for slightest of the growth. Epilating is something new and interesting to me.